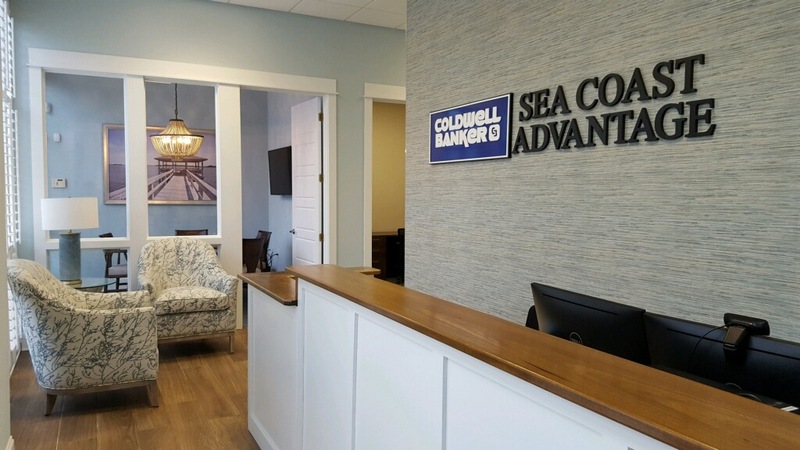 In response to the rapid growth of the Porters Neck area, Coldwell Banker Sea Coast Advantage has opened a new office in the Food Lion anchored Porters Neck Center. With the new location directly on the highly traveled Market St. corridor, agents will have a prime opportunity to meet walk-in customers as well as provide unprecedented marketing exposure for local home sellers. “This is very exciting because our new office is in a highly strategic and sought-after location, so it will enhance our agents’ ability to serve their clients, now and into the future,” said Vice President, Director of Sales, Tom O’Neill. A veteran agent and manager with over 15 years of experience in real estate, O’Neill is known for his ability to help agents unlock their potential and chart a path to success. By opening a new location in Porters Neck, Coldwell Banker Sea Coast Advantage will bring its total number of offices in Southeastern North Carolina to 18, with a 19th location soon to follow, and further expanding their geographic presence from Calabash to Jacksonville. Company leaders said the expansion has been motivated by a goal to establish a network of convenient, local offices, filled with neighborhood experts who are market leaders representing a brand that is recognized worldwide. For information about career opportunities, or to find a local market expert in your neighborhood, call 910-520-3341 or visit www.seacoastrealty.com. Coldwell Banker Sea Coast Advantage is the largest and best-selling real estate company in New Hanover, Brunswick, Pender and Onslow counties, with a 2017 closed sales volume in excess of $1.6 billion and more than 7,000 closed sales transactions. Sea Coast Advantage was founded in Wilmington, NC in 1988 and joined Coldwell Banker in 1993. Sea Coast Advantage is staffed by more than 580 real estate agents across 18 offices in Southeastern North Carolina, in top areas such as Wilmington, Leland, Jacksonville, Carolina Beach, Topsail Island, Hampstead, Southport, Sneads Ferry, South Brunswick, Oak Island, Holden Beach, and Calabash. Coldwell Banker Sea Coast Advantage also has an ownership interest in 18 Coldwell Banker Advantage offices in Raleigh, Fayetteville and Southern Pines, as well as six Coldwell Banker Chicora Advantage offices in Myrtle Beach, SC. Together, this network encompasses 42 offices and more than 1,200 agents, who successfully assisted their clients with over $3.4 billion in sales and nearly 16,000 transactions in 2017. Coldwell Banker Sea Coast Advantage was #1 for Coldwell Banker in NC in 2017, #2 in North America for closed transactions, and #3 in North America for sales production.